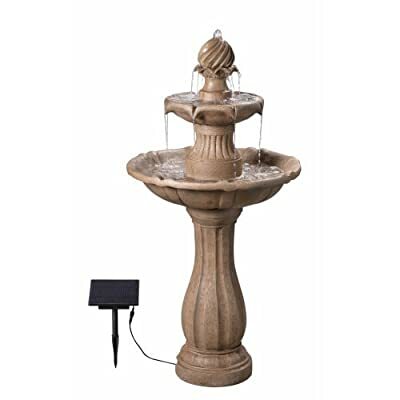 Includes UL-listed 120V recirculating water pump. Easy plug into any power outlet. 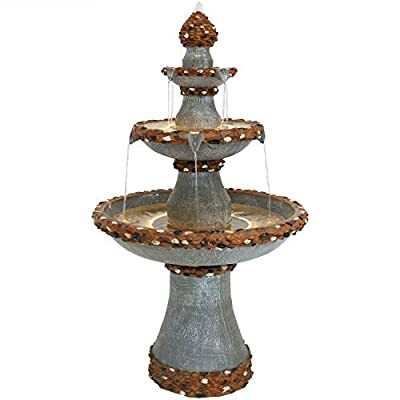 Beautifully featured with 3 tiered fountains. 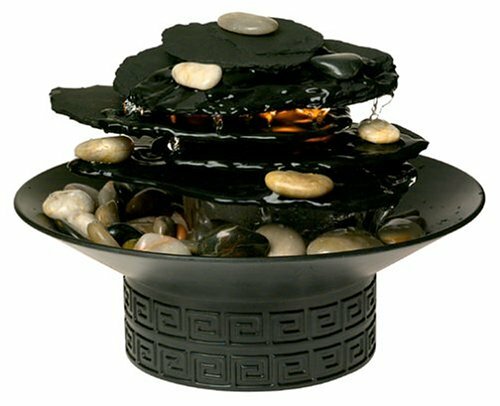 Creates a gentle presence with the soothing sounds of water. Skillfully crafted to be balanced and durable. 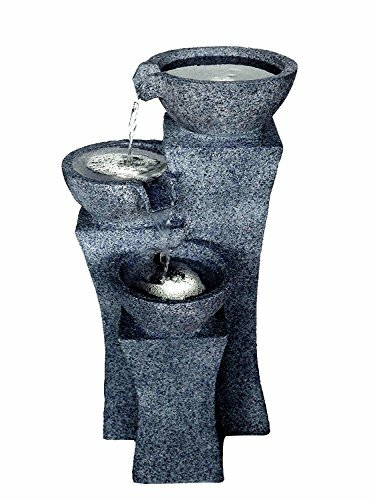 Ideal for outdoor garden/patio as well as indoor use. Sturdy and lightweight. 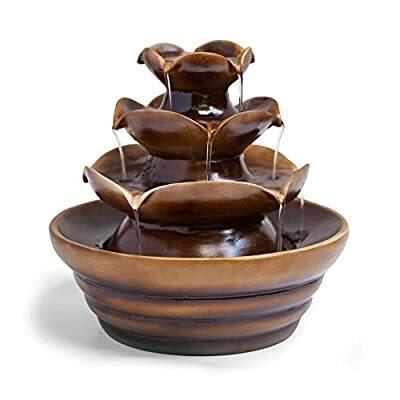 You will delight in both the sight and gentle sounds of this hand-burnished water fountain! 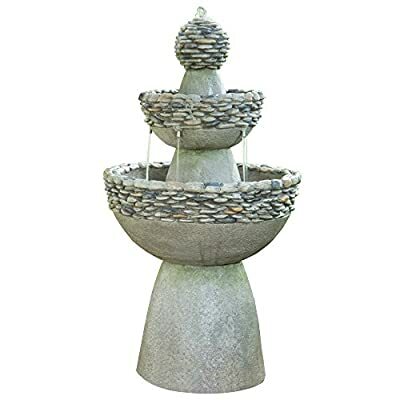 It was inspired by a laid-back country life, adding charm to any garden or patio. 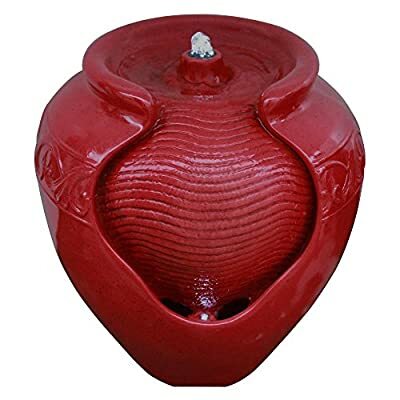 The design features a pump from which water trickles down into one large barrel. Simply plug it in and fill it with water. 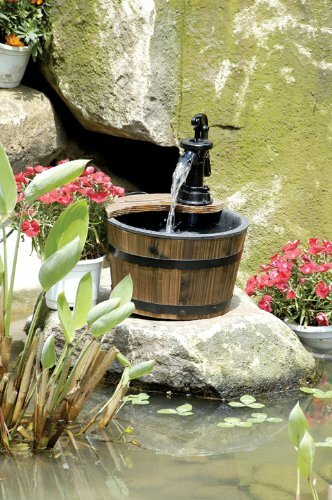 Display this wood barrel fountain as a garden ornament or outdoor sculpture. 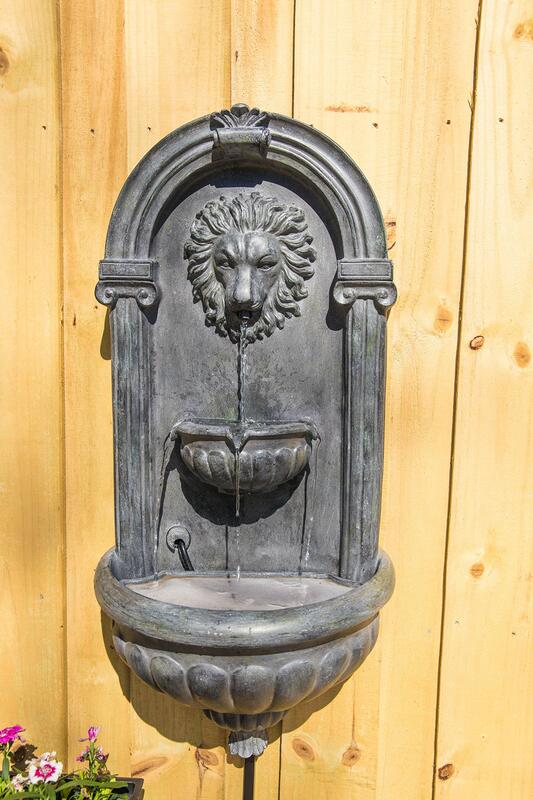 A great gift for gardeners. 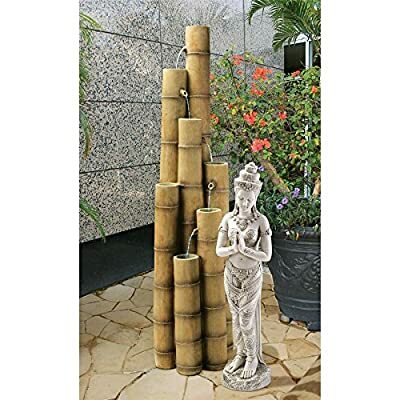 Use: Outdoor use in your garden or patio. 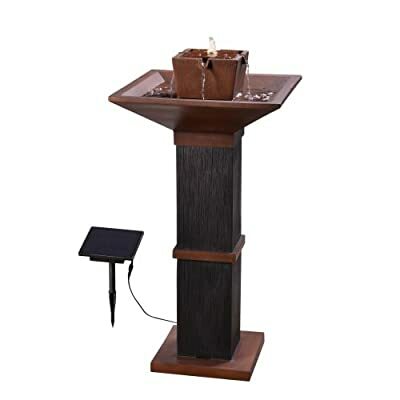 Provides visual and auditory beauty for your yard and patio; Material: Solid fir; metal; Includes: UL listed submersible pump included; Other: Some assembly required. 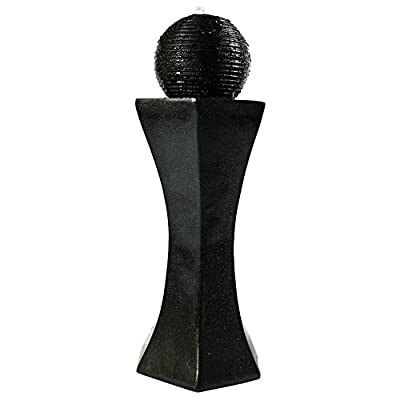 Overall Dimensions: 22 inches wide x 17 inches deep x 32 inches tall; weighs 26.4 pounds. 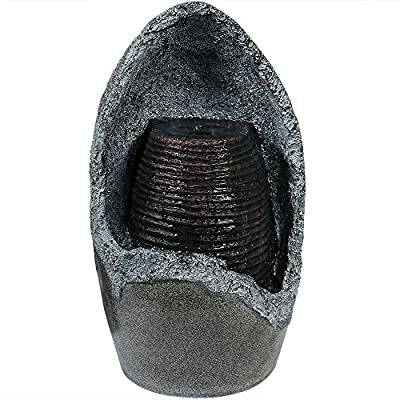 Made of lightweight polyresin and fiberglass so it can easily be moved and filled. *Colors may vary slightly from on-screen images. Computer monitor settings and different lighting environments can make product color appear differently. 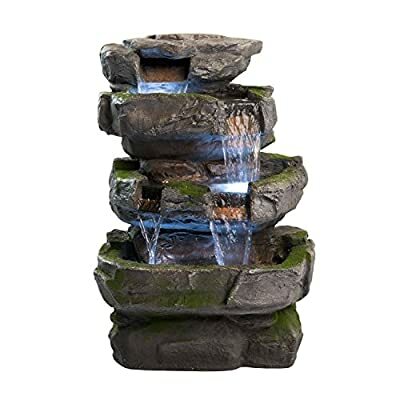 Includes one outdoor water fountain, three warm LED lights in each of the three lower bowls, and an electric submersible Jebao WP-450 pump with a .5 inch diameter hose. 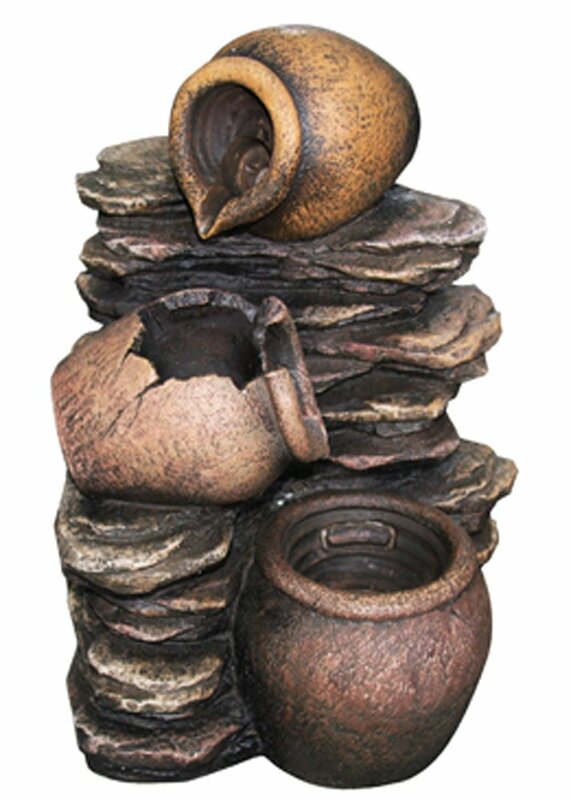 Overall dimensions: 16 inches wide x 13 inches deep x 25 inches tall. Weighs 20.2 pounds. 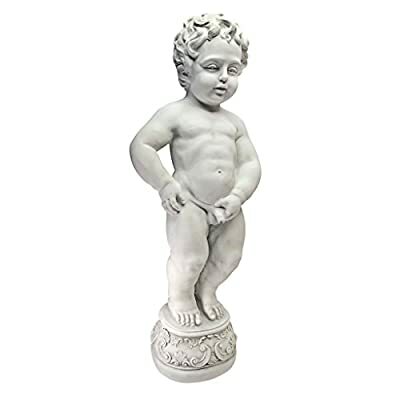 A perfect size to accent any space. 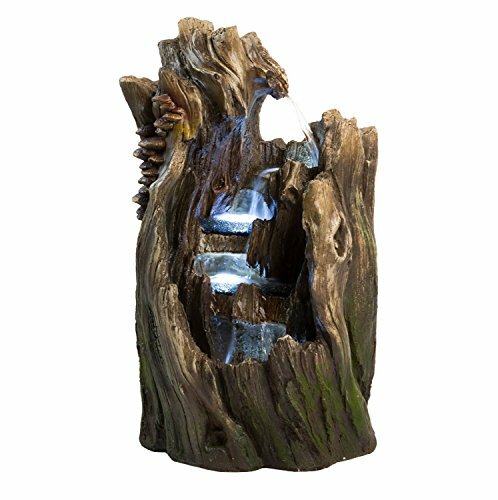 Includes LED lighting for the top of the “tree trunk”, solar panel, and pump with battery pack. Also comes with two 16-foot cords – one for connecting the LED lights to the panel, and the other for connecting the pump to the panel. 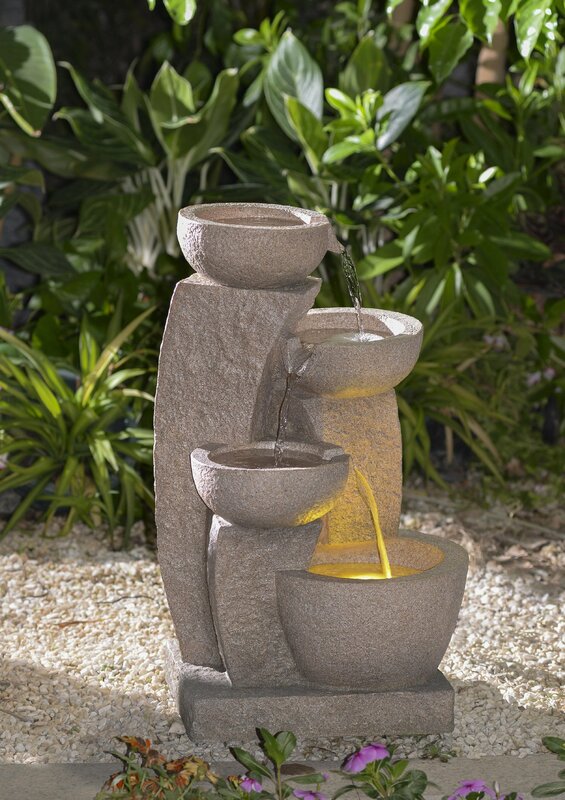 Features a durable light weight concrete to ensure a long-lasting product. 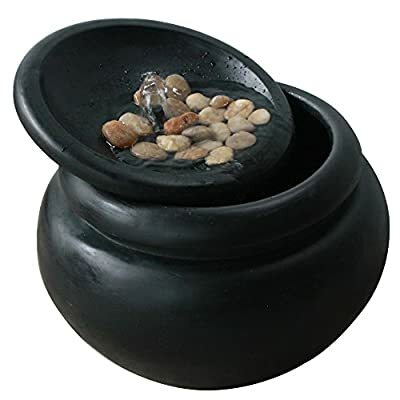 Bronzed pot zen design polished river rocks. 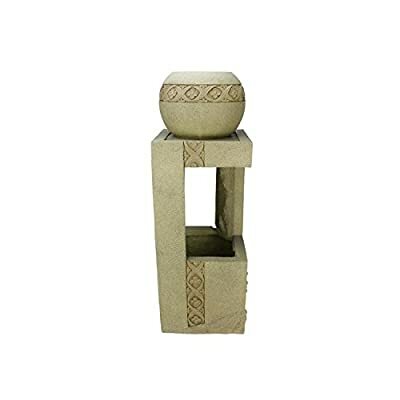 Brings harmony and serenity into any décor. 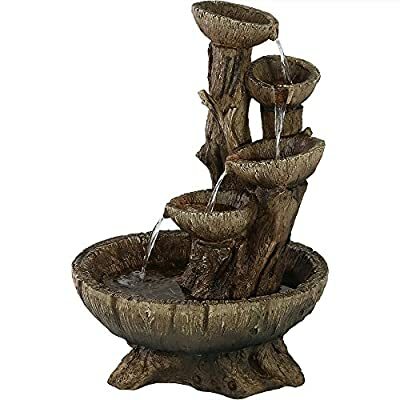 22″ Walnut Log Indoor/Outdoor Garden Fountain: Tiered Outdoor Water Feature for Gardens & Patios. 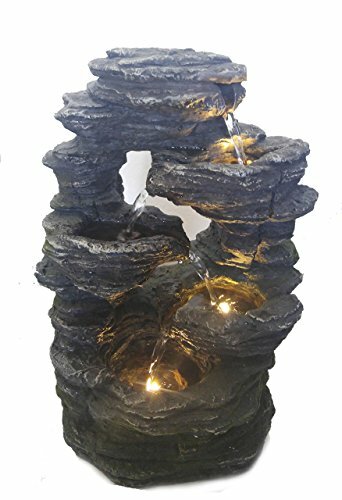 Original Hand-Crafted Design w/LED Lights. 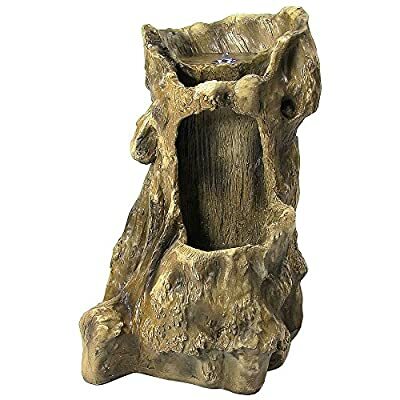 Overall dimensions: 16 inches wide x 14 inches deep x 26 inches tall, weighs 8.8 pounds so it is the perfect size for any patio, yard, or garden. 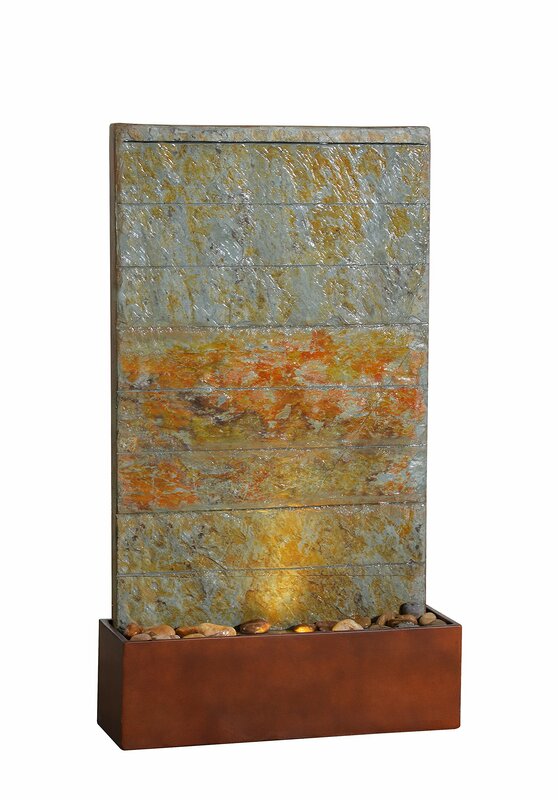 Made from a durable fiberglass construction to ensure it is long-lasting. Includes solar panel, pump, battery pack, and two 16′ cords; one to connect the solar panel to the pump, and one to connect the solar panel to LED light.